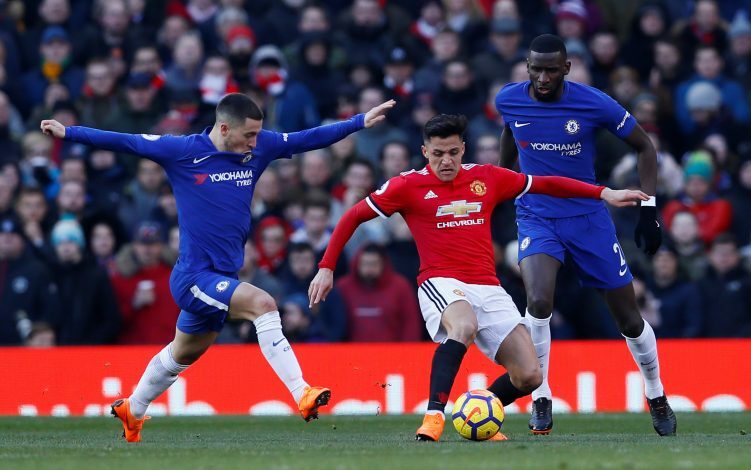 Chelsea and Manchester United locked horns in the FA Cup final on Saturday, with the Blues triumphing over the Red Devils thanks to a 1-0 win at Wembley. It wasn’t the most exciting of finals, as Eden Hazard’s first half penalty goal proved to be the only difference between the two sides in a game that was otherwise far from eventful. Hazard, who was named the man of the match, had his fair share of impressive moments on the pitch, but he also shared a hilarious one with Alexis Sanchez in the tunnel prior to kick-off. As the teams walked onto the pitch, the two world-class forwards were involved in a comical exchange, which was displayed on the 11-minute-long tunnel cam video uploaded by the FA Cup YouTube channel. The hilarious incident began when Hazard couldn’t help but laugh after noticing how Sanchez was given a kid mascot who was almost as tall as the Chilean international himself. The United number 7, who also saw the funny side of it, can be heard saying ‘Es muy grande’, which translate to ‘is very large’, before swapping his tall mascot with Paul Pogba’s. The two teams as well as their respective managers may share a heated rivalry on the pitch, but it was definitely refreshing to see these players enjoy a light moment before the mega encounter off it.